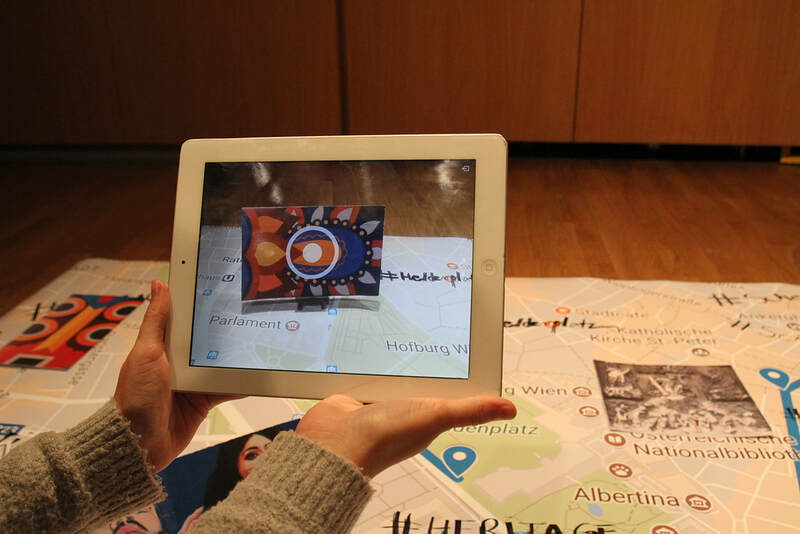 Developed during the AIR KulturKontakt Residence, in Vienna, this installation using augmented reality reflects about the city as a digital interface for images collections and the generation of data in the urban places. As an interactive tour in the city of Vienna, proposes to the visitor to visualize augmented reality layers about six different spots in the city, in two different scales: one, inside the exhibition place and the other, directly in the streets. Metacity works between the exploration of the city and the critical reflection about how this places has becoming triggers for surveillance and generation of personal data, through the geolocated technology. 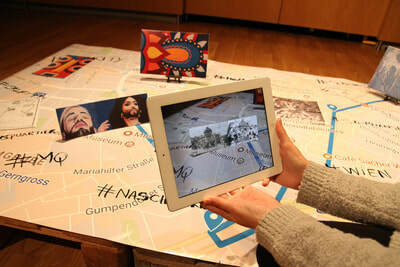 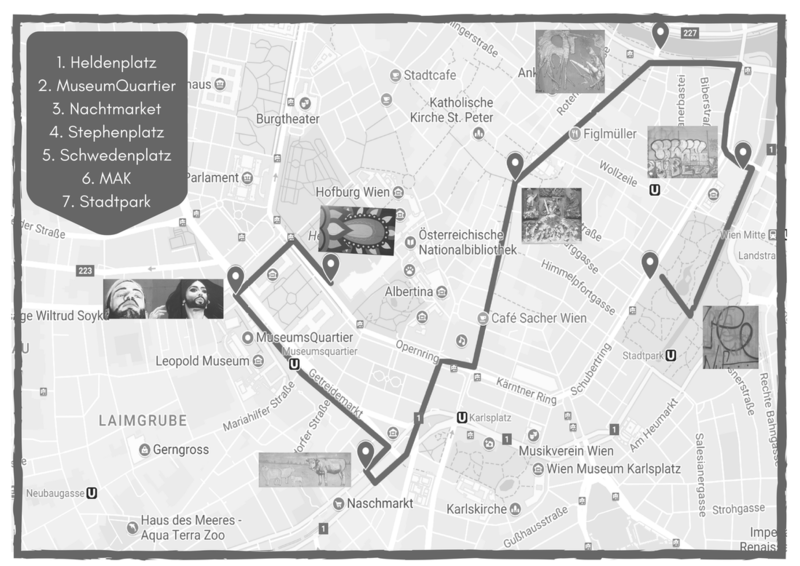 Every location in the tour contains special content accessible with the app Aurasma, in which you can see animations mixing old images of Vienna and the new images produced in social medias, like Instagram, and digital metrics (number os results at Google, posts and hashtags), exposing the ambivalence between the open heritage of images (created by users all the time) and the surveillance (collected and stored by big companies, responsible to provide digital services). 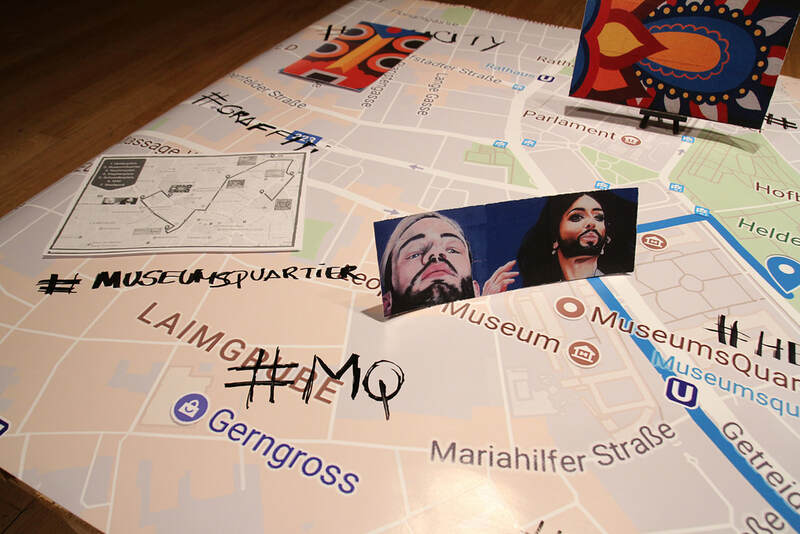 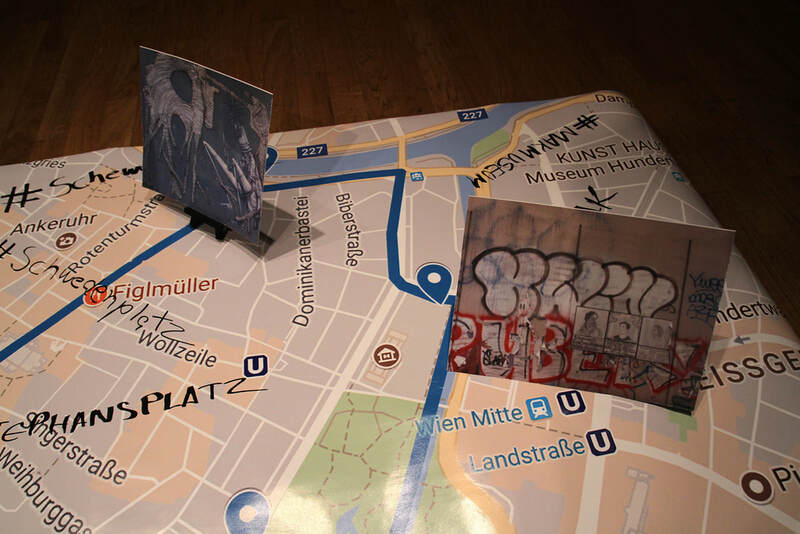 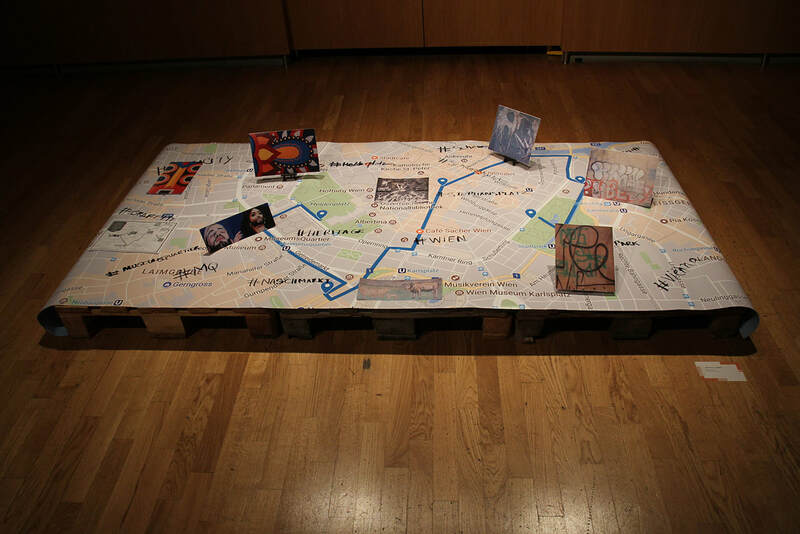 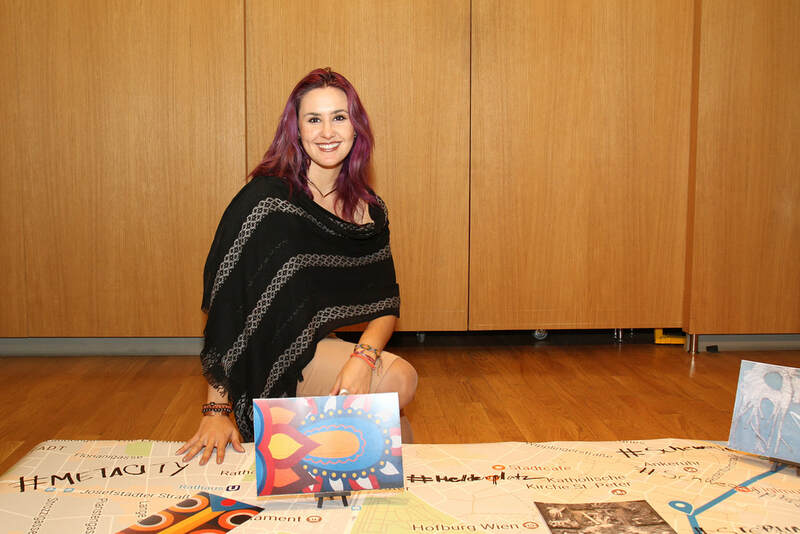 The final artwork was exhibited in two shapes: as an installation, for the final exhibition MISHMASH and as a permanent interactive public art intervention in the city. The project start with a research about the production of artists and exhibit places using mixed realities. The idea, is to track what kind of production exist now. 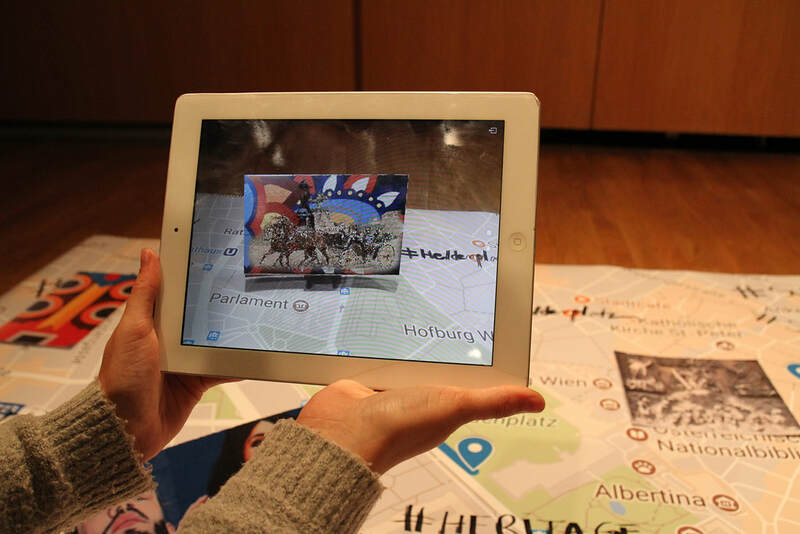 Some projects are important to my research, like Streetmuseum, Talking Statues, Google Web Lab, because they reflect about a museum in the city, and the city as an artwork open to people intervention. 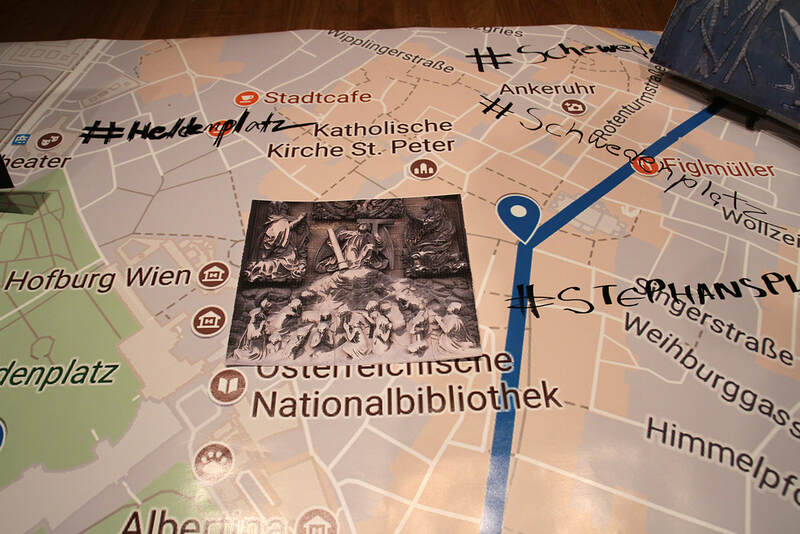 The input of the intervention was the images collected in social media about famous places in Vienna and the historic images from the same locations. 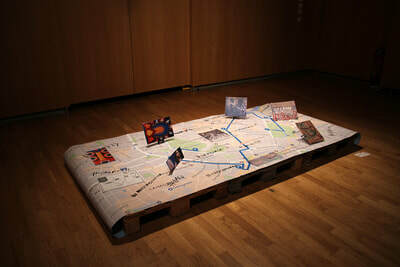 Mixed in a glitch aesthetic, the output was visible through augmented reality in the original locations, that originated all that data, showing different timeframes of the same city. Each gif would contain some number about the metrics of posts and some error pop-up, part of the proposal of glitches and bugs. 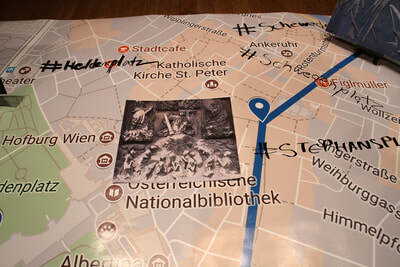 The result was an interactive tour to tell the story in non linear way from the recognised collections (old pictures) and the non recognised (peoples posts), crossing the open heritage and the institutionalised heritage, which dispute happens more and more front of the hierarchy dissolution.